Other apple posts this season: My First Tarte Tatin, Homemade Apple Butter. 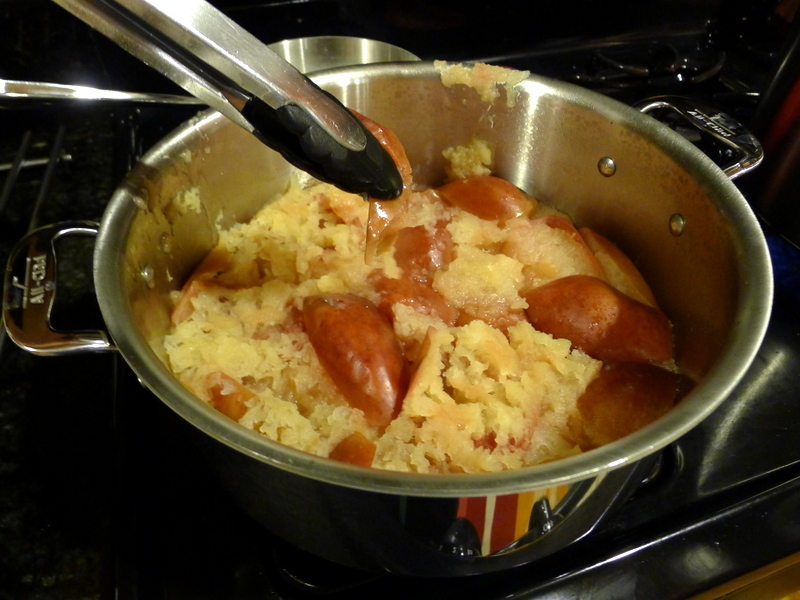 Okay, this is the last thing I did with the bag of apples we picked this year. 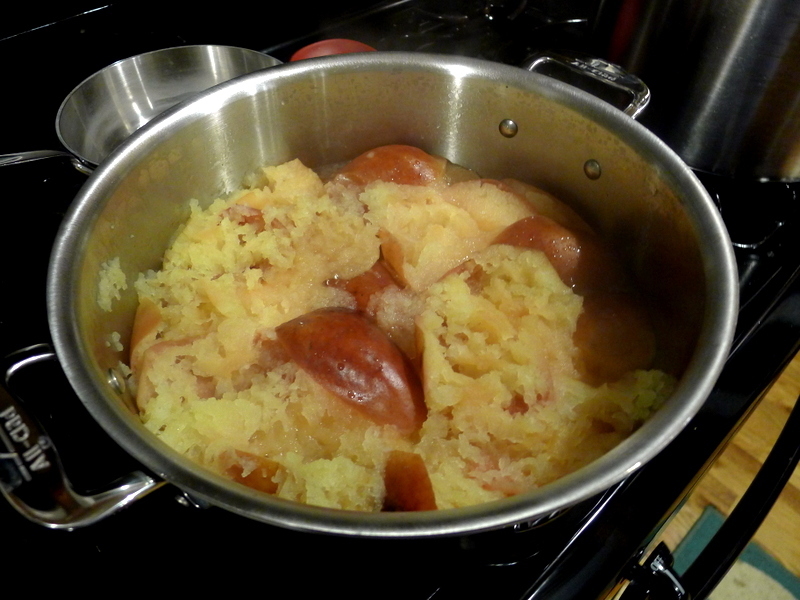 We had 16 pounds of apples, I used almost half on tarte tatin and apple butter. 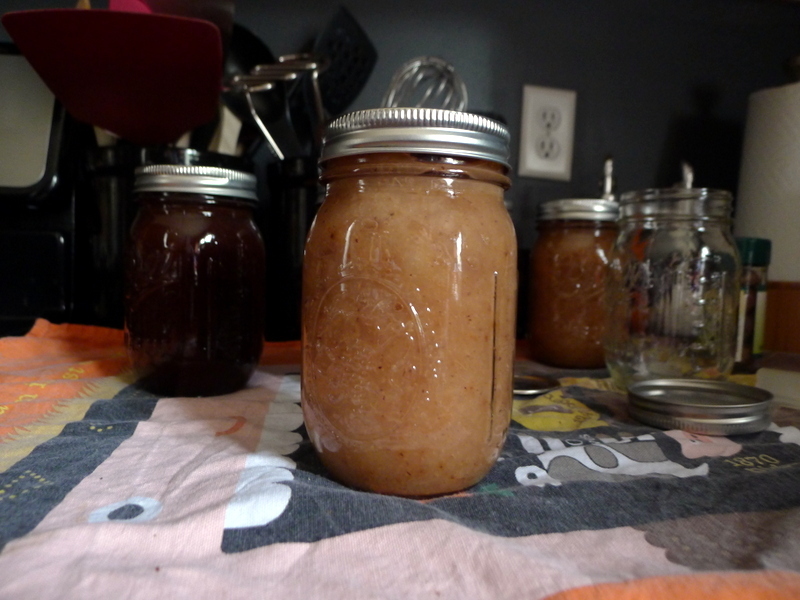 I used the rest for this unbelievably simple applesauce recipe from Food in Jars. You don’t even need to peel the apples, the skins just fall right off. 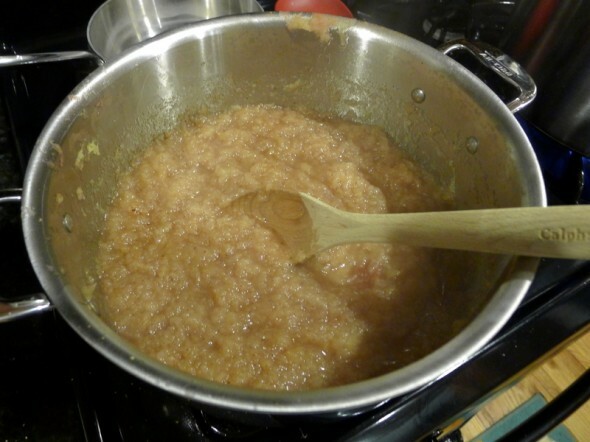 I actually made a second batch to use up the remaining apples because it was so fast and easy. I might never buy applesauce again, and it didn’t even need sugar. Quarter apples. Put them in a large, non-reactive pot. Add liquid, put on lid and bring to a simmer. Let fruit cook for approximately 15-20 minutes, until the fruit has broken down. 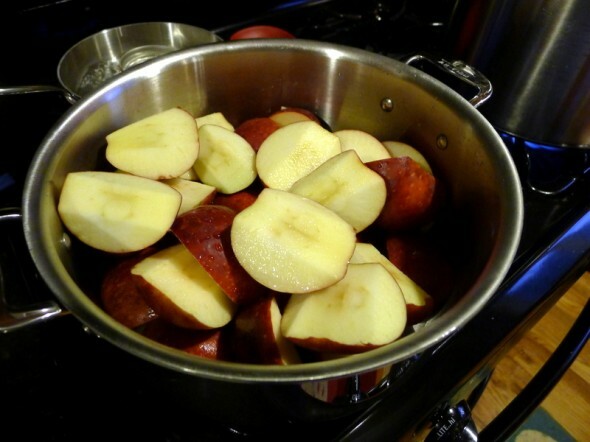 Use tongs to fish out apple skins. The original calls for an immersion blender or potato masher, but I already liked the consistency of this applesauce as it was. Add cinnamon, nutmeg and cloves. Pour applesauce into your prepared jars. Wipe rims, apply lids and screw on rings. Process in a boiling water canner for 15 minutes for half pints and pints, 20 minutes for quarts.